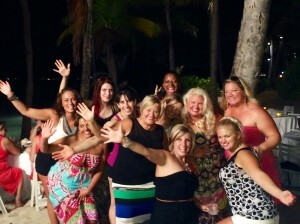 2014 Puerto Rico Incentive Trip: More than Meets the Eye! 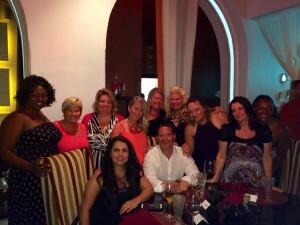 Just got back from San Juan, Puerto Rico where I had a chance to meet with some of the company’s finest Consultants! I adore these trips. My son, Chris, and I spend so much time building the business – even when we are in our Consultants’ hometowns, we are often busy training or overseeing events which leaves little time to connect with everyone on the level we’d like. I love the opportunity I have during these incentive trips to have one-on-one time with each Consultant. Learning how they got started in the business, how many children they have, what they like to do in their free time – every detail intrigues me. Every night, I would meet a different table full of women for the first time. 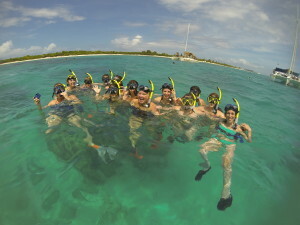 Many were on their very first incentive trip. They tried things they would never do back home, from zip lining through the forest, to casting out in the ocean on a catamaran. The best part is they got to experience these “firsts” as a team, and build relationships that will last a lifetime. They also took my advice and gave back to themselves for all of their hard work, by relaxing at the spa. I will admit, I went and indulged myself: four times! 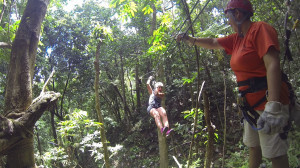 No zip lining for me – my senses are definitely already heightened from taking risks every day owning and operating my business, so I passed on all the adrenaline-seeking activities. I did, however, try a restaurant called Marmalade that is now by far one my daughter’s and my all-time favorites. One evening, I spotted a Consultant who at first seemed to be keeping to herself. I always want to make sure everyone is having a great time so I approached her. After we met, I discovered her name was Rachel Shelton and she was a brilliant chemist and mother of five from Indiana. She admitted to me that, in her profession, she is used to working alone and doesn’t socialize within big crowds very often. What I loved about Rachel was that she was choosing to step outside of her comfort zone and force herself to meet others on the trip. I had great admiration for her because I know this is not easy. It was the same way for me when I went on my first incentive trips early in my career. I worried and thought things like, will anyone talk to me? Will I be able to offer anything to these people? 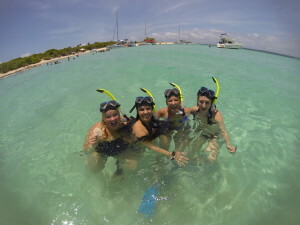 In actuality, I ended up building some of my best friendships on those trips. It also helped me to become a much more social person. People often think that only A-Type personalities work as Pure Romance Consultants, but that’s just not true. There are so many different types of personalities – that’s why our company is so successful; everyone is unique in the consumer marketplace and this versatility broadens who we are and makes our Consultants more accessible. This trip was also a milestone because it was the first time in Pure Romance history that I had the chance to train with my daughter. Chris taught the company’s leaders, and Lauren taught the new Consultants, and let me tell you, I stood back and marveled. I truly felt for the first time that if anything happened to me, my Consultants and this company would be in very good hands. I watched both of them exude such passion and left Puerto Rico with my heart so full of hope and happiness for where this company has been and where it is headed. 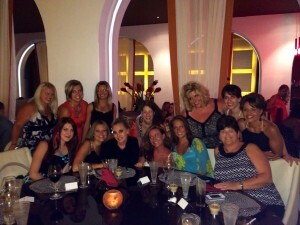 We look forward to many more opportunities to meet Consultants at incentive trips in the future! 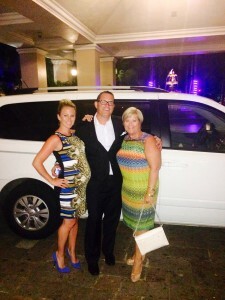 2 Responses to "2014 Puerto Rico Incentive Trip: More than Meets the Eye!" I remember my first trip with Pure Romance! I was only 1 year in the business and hadn’t even been to a training or convention yet. I truly did meet friends that I still have 8 years later! I was terribly shy too. I love that we have these opportunities that would not happen in just any job. Thanks for making it possibly Patty! CONGRATS Rachel!! Loved reading this… I’ve been with Pure Romance for almost 5 years, and I’m always so close to winning a trip , I’ve been in the drawings too..no luck yet thou….still trying….lol….not giving up!